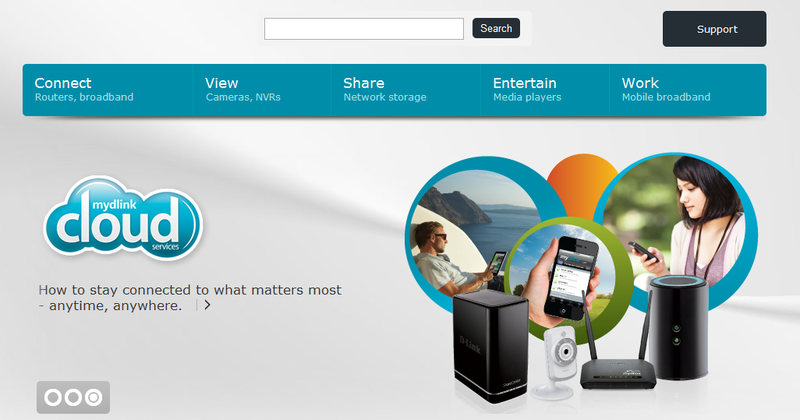 We have today launched our newly designed UK corporate website http://www.dlink.com/uk. The new site incorporates a range of new features specifically developed to provide customers with an enhanced user experience and easy access to products and information. The site has a fresh new look and feel, providing visitors with simplified navigation, rich content and detailed information about D-Link’s products and services. Divided into three core sections – Home Solutions, Business Solutions and Service Provider Solutions – each section intuitively showcases the company’s offering of switches, IP surveillance cameras, network storage, wireless, home monitoring cameras, routers, PowerLine, network adaptors, media players and D-Link’s new cloud portfolio. As well as being more engaging and easier to navigate, the new site is also designed to provide a greatly improved experience for mobile phone and tablet users. Visitors will be able to find a host of rich, new content such as videos, how-to guides, white papers, case studies and a new resource centre. Furthermore, the intuitive predictive search feature helps users find what they are looking for quickly and easily. So please check out the new site and let us know your thoughts either on the blog or via Twitter. This entry was posted in Consumer and tagged D-Link, Home network, IP cameras, PowerLine, Routers, Streaming, Wireless by D-Link UKI Blog. Bookmark the permalink.